Although the 2016 presidential election suggest we might be closer to the apocalypse than ever, one thing everyone can rejoice about: airfare's cheaper than ever. 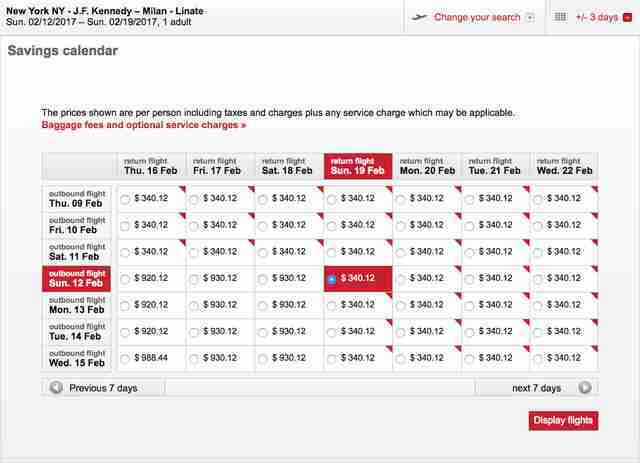 Case in point: right now, you can book a round-trip flight from New York JFK to Milan for $332. Air Berlin's got a crazy deal running right now, with flights bookable from November 2016 all the way through May 2017 at crazy-low prices. You won't be able to see these deals on Google Flights, but plenty of other flight search engines display the insane fares. This sample itinerary has oodles of options to fly in February. Too cold for you? OK, let's skip to mid-March. And while not quiiiite as cheap, flights are still below $500 in May, a wonderful time of year to experience Italy. 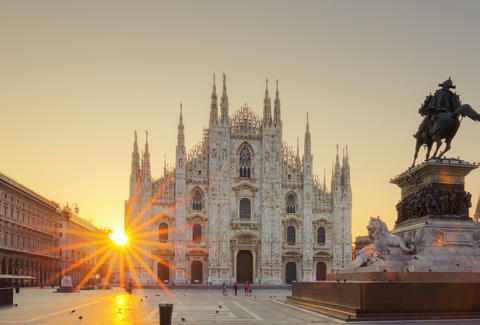 This itinerary has you connecting to Milan through Dusseldorf, so it's not like you've gotta fly to the other side of Earth and back on some awful route. Additionally, while the deal won't show up on Google Flights, it's on a bunch of different engines. Or, you can just upstream to the Air Berlin site directly. This is somehow even cheaper than the crazy deals Emirates was running to Milan earlier in 2016. Just stop reading already and go book your flight. Ryan Craggs is Thrillist's Senior News Editor. He's flown Air Berlin, and lived for a brief time in Italy. Follow him @ryanrcraggs.